This week, we’re excited to share an update on Vocademy — a makerspace that was 100% funded in just 4 days. We’re also announcing a new Fundable partnership that is helping companies better prepare for success while crowdfunding. Vocademy is the world’s first “Education-Focused” Makerspace, providing hands-on support to the makers and inventors of the future. Before being invited to the White House, Vocademy founder Gene Sherman used Fundable to open a 15,000 square foot state-of-the-art Makerspace. Within 4 days of launching his business crowdfunding campaign, Gene Sherman had reached 100% of his goal, raising over $60,000. Throughout the campaign, Vocademy received an incredible response from crowdfunding backers as well as the media. Backers were thrilled to have the opportunity to learn woodworking, robotics, and 3-D printing and showed tremendous support for the rewards crowdfunding campaign. 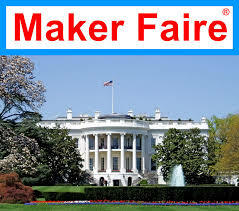 The media praised Vocademy’s forward-thinking approach and use of business crowdfunding to empower the maker community. Vocademy’s successful crowdfund was featured in Inc., Make Magazine, and The Press Enterprise, among others. In the months following their fundraise, Vocademy has become a dream come true for any maker, inventor, or tinkerer. Vocademy has also seen incredible interest from investors and has plans to open additional makerspaces this fall to meet increasing demand. Fundable and Dragon Innovation are teaming up to launch the Dragon Certification Program, to better prepare hardware companies for a successful crowdfund. Dragon Certified projects display a badge that signals trust, safety, and preparation to crowdfunding backers, who can rest easy knowing they will receive the rewards they are pre-ordering. 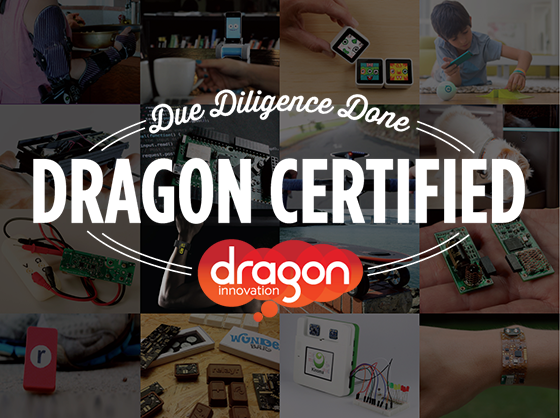 To become Dragon Certified, hardware companies will work with Dragon prior to launching their campaigns. Dragon Innovation’s seasoned team has hundreds of years of combined experience with a concentration in complex consumer electronics manufactured at scale. It’s safe to say they’ve seen it all. Dragon Certified hardware products have been thoroughly reviewed by their engineers who give you feedback that helps you understand your cost Of goods sold, manufacturability, and expected timelines for delivery before you go to market. You can learn more about Dragon Certification here.